According to McArthur’s Oregon Geographic Names Rujada started out as a lumber camp at the eastern end of the Oregon, Pacific and Eastern Railway out of Cottage Grove. The name sounds Spanish, but it is not. It comes from the first initials of Reserve and United States, followed by the initials of the first names of some of the founders (Jack and Dave?) It is correctly pronounced Roo-jay-duh. 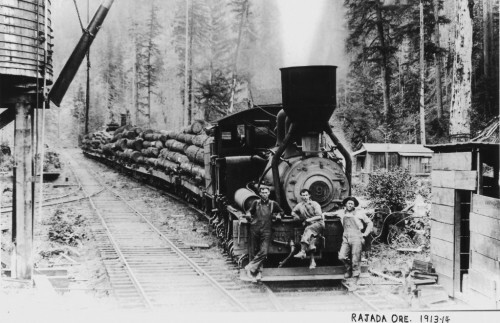 A train full of logs from Rujada. 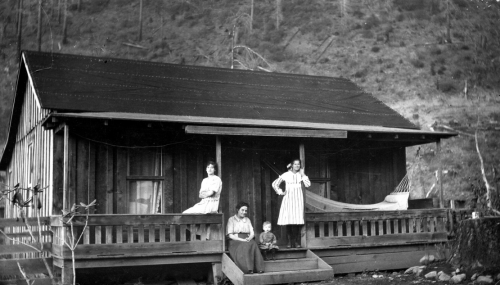 Here is a family group on the porch of a lumber camp cabin at Rujada. Love the hammock! An article in the Oregon Daily Journal in 1922 had a story about an excellent mountain guide up at the Rujada camp. According to the article this guide, Ruggles, “did not waste one’s breath with conversation, walked as slowly or as fast as one wanted, obeyed all commands and piloted folks to and from the logging camp.” Ruggles was, of course, a dog. He would meet the train and lead the passengers to the camp and back. 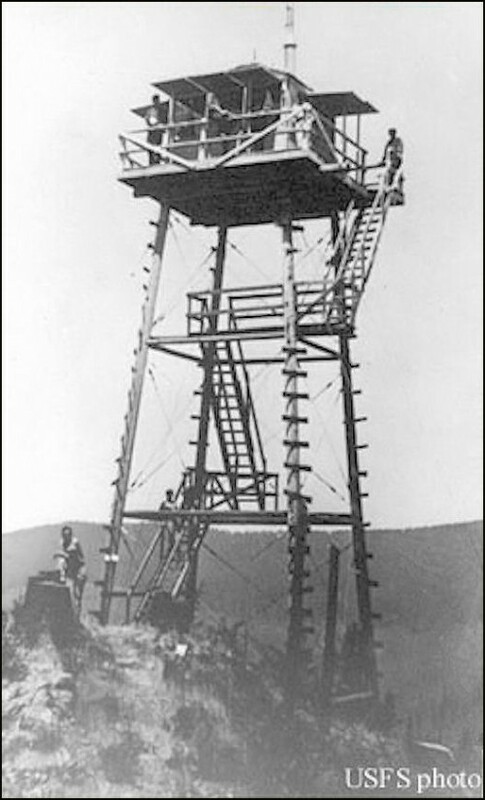 There was a fire look-out for a time at Rujada, as well as a Civilian Conservation Corps camp. Here is a group of campers in 1964. Starting in the 1930’s Rujada became a popular place to camp. Rujada is still a wonderful place to camp and hike. 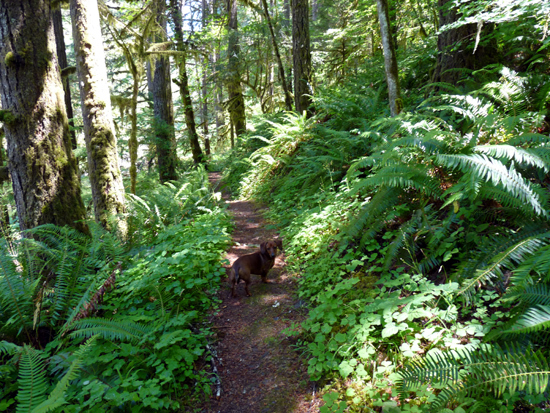 The Swordfern Trail follows the creek for a while and then heads up to an old logging road that loops back to the campground.